It’s something we all want the answers for. It’s something we fear. Something we want to have a grip on. Jordan Feliz knows the feeling. But he didn’t write his newest album, Future, because he figured out all the answers to his path. Quite the opposite. This record was born out of Feliz making peace with the fact that he doesn’t, none of us can, know what his future holds. Cling to your best-laid plans until your knuckles turn white, mark your calendar up and down, worry yourself dizzy…But the real answer is accepting that we do not hold the future in our own two hands. And thank goodness, because the One who does has already written better stories for us than we ever could. 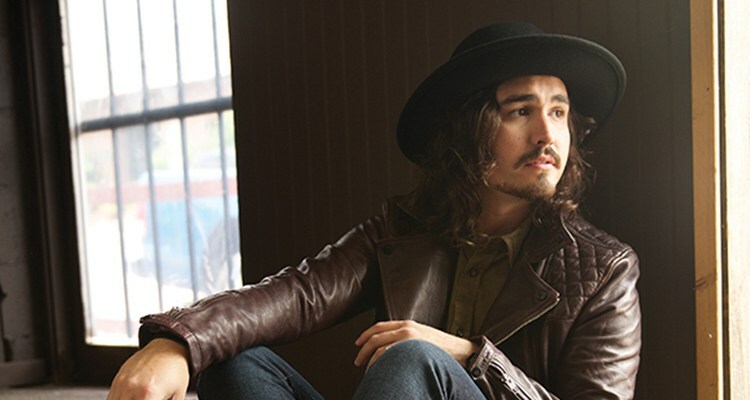 Following widespread acclaim for his first album, The River, Jordan Feliz began the journey of recording a new one. But the process didn’t start how he expected or hoped. “I started going through anxiety and honestly didn’t know how to begin, because I felt like ‘Everything I create isn’t going to be good enough.’” Jordan remembers. He was on tour, trying to write for the album, but experiencing panic attacks. He found himself unable to connect with the songs he’d been working on. Then back home with friends and co-writers Paul Duncan and Colby Wedgeworth, he marched not around the fear, but through it. And on the other side was solid ground. With those words, something clicked for Jordan. He took a breath. He let go. He remembered that his future is held by the strong, kind hands of the Father. That day they wrote “Witness,” which would go on to be Feliz’s first single for Future, in only 45 minutes. It’s certainly not the first time Jordan’s had to rely on faith. Six years ago, following much prayer, he and his wife ventured to Nashville after feeling called to make the move; the only catch: they didn’t even have enough money to make it all the way from California to Music City. They were depending on a few performance gigs Jordan had along the route. He ended up with a spontaneous opportunity to perform for less than 30 people, who bought more than enough merchandise to get the Felizes to Nashville. Jordan tells that story in the album’s track “All Along,” his most personal song to date. With the first lyric describing his literal first moment of breath, Feliz goes on to tell some of his life’s highlights, revealing God’s presence through each moment of every season. And that’s what marks this album as a mature step forward for the singer-songwriter. The vibrant pop melodies are not only infectious, but deep-rooted in the vulnerable walks of faith he’s ventured through in the past year. He wrote most of the album on the road with a hectic tour schedule and only eight other writers. Feliz was surprised to find that he loved this unorthodox writing process, saying it allowed for him and cowriters to spend more time simply experiencing life together, then reflect on it through creating music. Gone was the pressure to sit in a room and crank out a hit song. The result: more authentic songs that come from inspiration found in everyday life. Songs the musicians poured themselves into— including one of Jordan’s favorites, “Faith,” which came about from a middle-of-the-night writing session. “That never would’ve happened back home,” Jordan laughs. And as Feliz and his team were wrapping up, something incredible happened for an album that began from a place of insecurity. When it came time to make the final song decisions, typically a stressful and challenging process, Jordan felt an unexpected peace. Hands shoot up, voices join in, souls worship. Jordan beams. It’s the smile of a heart that knows it’s landed in the hands of its Protector. The smile of a heart, fearlessly honest, that is connecting with others. A heart that’s traveled through uncertainty, and probably will again, but will always find home in the story already written for it. Jordan listens to the new record, the latest season of his life in musical form. Those early doubts have transformed into peace. The shame into compassion. The worry into joy, and the fear into excitement. He doesn’t know how the next chapter reads. But he knows something more important: the Author.